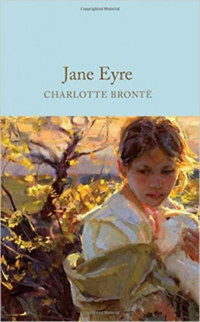 The orphaned Jane Eyre suffers under cruel guardians, a harsh employer and a rigid social order. But her plain appearance belies her indomitable spirit, sharp wit and great courage. When she goes to Thornfield Hall to work as a governess for the mysterious Mr Rochester the stage is set for one of literature&apos;s great romances. Designed to appeal to the book lover, the Macmillan Collector&apos;s Library is a series of beautifully bound pocket-sized gift editions of much loved classic titles. Bound in real cloth, printed on high quality paper, and featuring ribbon markers and gilt edges, Macmillan Collector&apos;s Library are books to love and treasure.